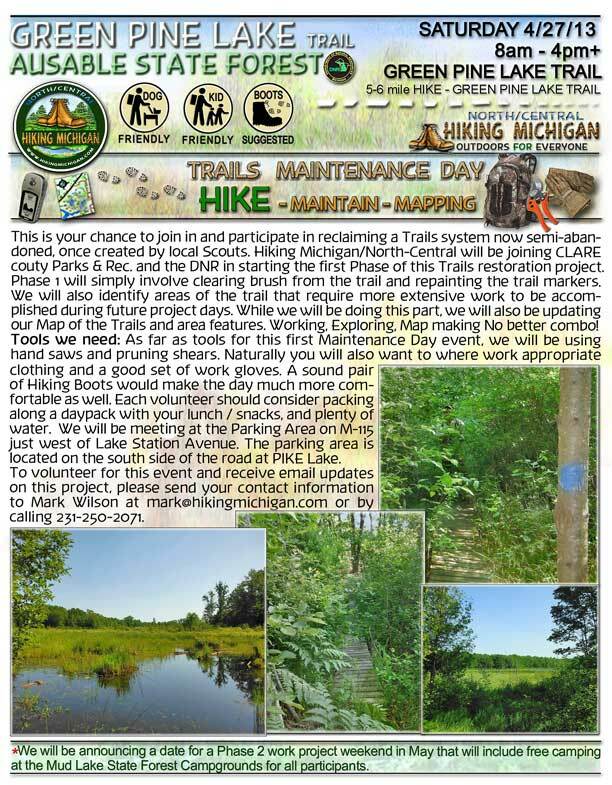 In a wonderful newspaper article, the city of Clare, Michigan, recognized and complimented the efforts of all the Volunteers who came out to help Restore the Boy Scouts created Trails at Green Pine Lake. Ausable State Forest area. After many years of abandonment, the extensive Trails, Boardwalks, Bridges and Map posts had fallen into disrepair, making much of the area un-navicable. Mark Wilson, our director here at Hiking North/Central Michigan, started this project with a number of GPS hikes to get an idea of just where the last of the Trails existed. 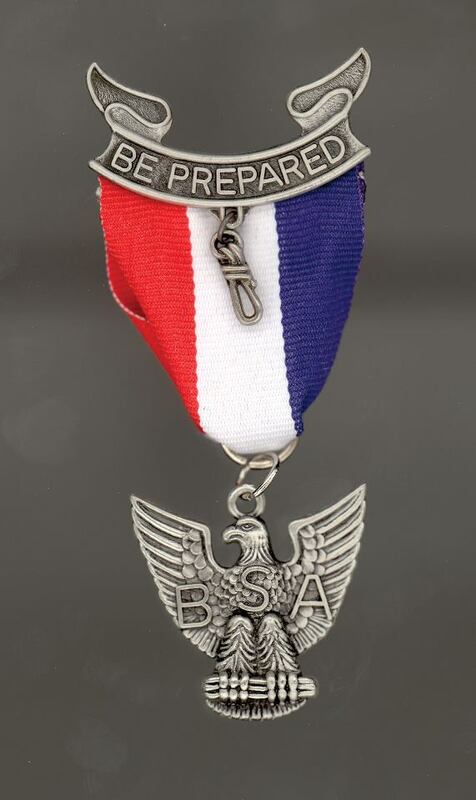 He was assisted by a number of people, including Scout Master Jeff from Ortonville. This allowed a good Map to be created to start the ball rolling. Mark got together with the Friends of Clare county and organized a Trails Restoration on Saturday, 4/21/13. The Groups who turned out worked very hard and some even stayed overnight at the Mud Lake Campground to continue the work the following day. A big stop for the Group was a local Beaver who decided he needed to Dam up one of the creeks and flood out an entire section of the Trail. The DNR will be removing the Beaver so further work can continue, and the whole project can be finished up this summer. Look for the next weekend scheduled Trails Restorations coming soon. This one will be scheduled for the entire weekend, with free Camping supplied by the DNR at Mud Lake Campground nearby. 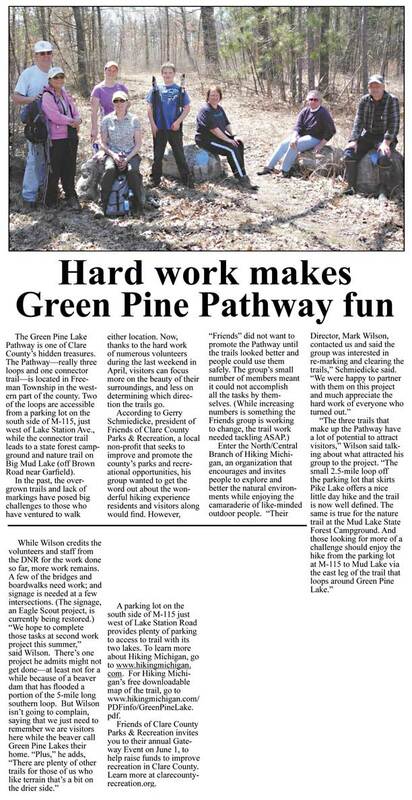 GET A COPY OF THE GREEN PINE LAKE AREA HERE. May 16th–HSS Meeting–Rudyard–Pizza and Hiking tales! June 22nd–Pig Roast at the USFS office–Explore the new trails! Do check Hiawatha Shore-to-Shore Facebook Page! Do Like, Comment, and Share! Ramble north on the North Country National Scenic Trail–Exercise–Mental Break–Enjoy the great Northwoods! Join your hiking pals, enjoy pizza, and share some hiking tales. Discover where to hike on the NCT! Wrap your day with lunch or dinner at the Tahquamenon Pub and Brewery! Watch for more hiking and volunteer news in the near future. Another job well done Gang. It’s great when people can get together and save something worth saving. Those Trails out at Green Pine Lake are worth saving. The Scouts thought it was worth their time in constructing all those bridges and Boardwalks, many years ago. It is worth making sure they stay around as long as possible. Even if the local Beaver has other ideas. 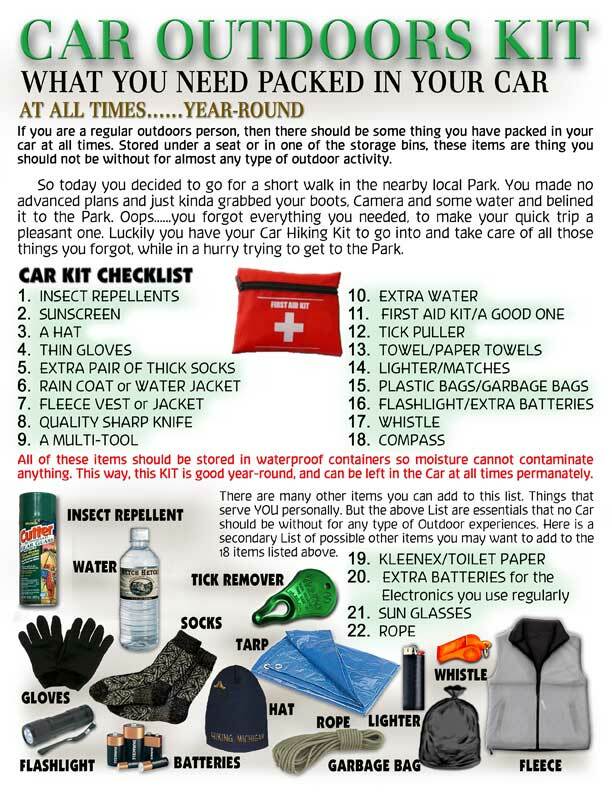 Mark sent me a short review of the weekend, so here we go……..
All: Just a quick update on the trail restoration day. First of all, thank you to all involved for all the support. After some great coffee and rolls provided by the Clare County Friends group, and a quick safety briefing Saturday morning we headed out on the trail with 16 people. We split into two groups and headed in different directions on the loops with plans to meet up at Green Pine Lake for lunch. We had beautiful and comfortable weather, and more importantly we had no injuries. The two groups got back together at Green Pine Lake for lunch, shared the mornings progress and planed the afternoons activities. It was nice to see a Loon on Green Pine Lake during lunch and apparently the group that took the west leg of the loop saw a coyote up close and personal. On the large loop we found that the beavers have been very active this spring and have completely closed a section of the large loop. I had one party from Hiking Michigan that stayed at the Mud Lake Campground they wanted to work today as well, so my daughter and I joined them to work on the Mud Lake connector trail today. Please note all the work that was accomplished over the last 3 days. · The small loop off the M-115 parking lot is re-blazed and all of the brushy areas have been cleared. · Several areas that were significantly overgrown on the large loop have also been cleared. · The small nature trail loop at Mud Lake has been cleared and re-blazed. It was nice to meet a group of hikers on the connector trail today as I was out burning up the last couple cans of paint. Here are some items that we need to consider for the next project weekend. 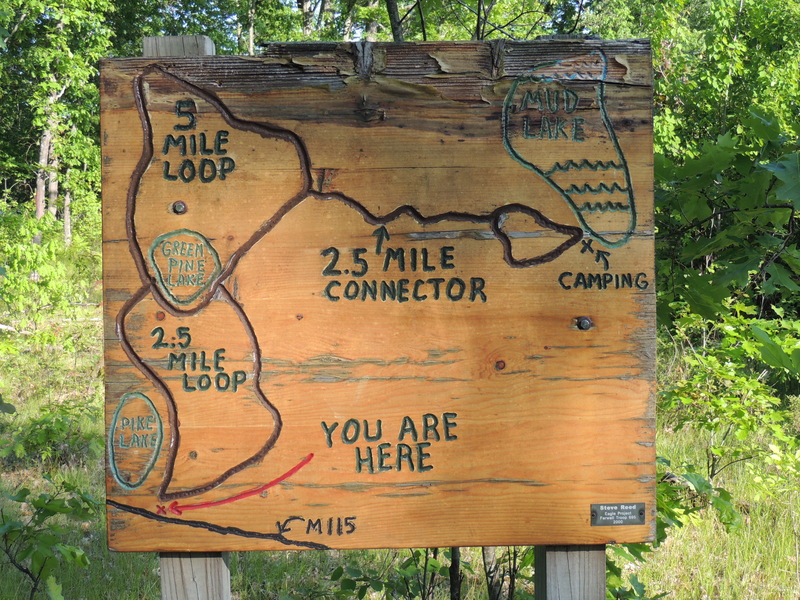 · Get the wooden signs back up at the trailheads and intersections. I think the trail has a lot of potential for summer use this coming summer. The small loop off M-115 offers a nice little day hike that is now well defined. The short Nature Trail loop at Mud Lake offers the same. 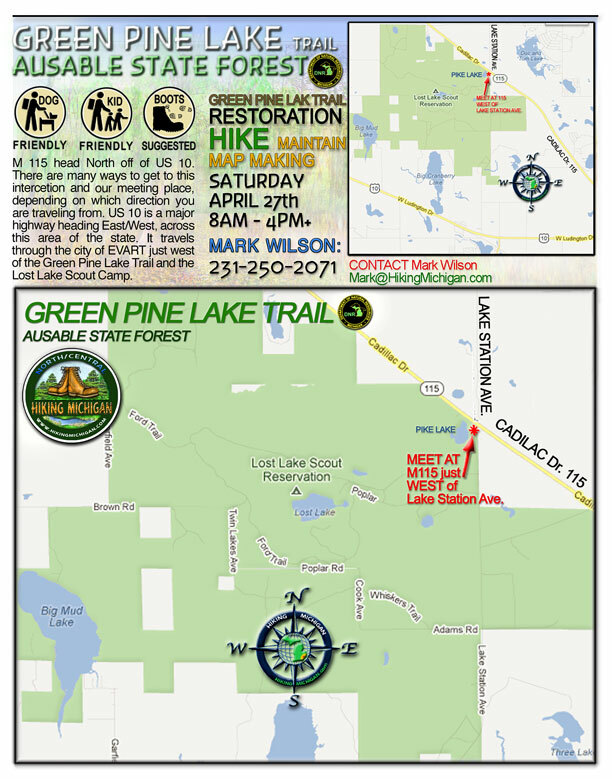 For people looking for a bigger challenge, to hike from the lot on 115 to Mud Lake via the east leg of the large loop and the Mud Lake connector would be a very challenging hike, but one that can be done now on a well marked trail. I’m personally very satisfied with the accomplishments of this weekend. THANK YOU AGAIN……to all you hard workers who donated your time and money to make this first Trails Restoration at Green Pine Lake happen. I have said this hundreds of time before…..Michigan has the very best Volunteers ANYWHERE. They give so much for ALL the people of our beautiful state! Thanks for all the pictures too. 🙂 I collected them from all over Facebook and the NET and put as many as I could find, right here in the Slideshow. Very Cool to see what all of you did and accomplished. Hal and I were out on the larger 5 mile loop marking trail and we found that Beavers are once again active in the Beaver pond. In addition to that the amount of rain we have been getting along with what is forecasted for the next few days may make that area a little too wet to work in, but we’ll keep an eye on it. With that said, there are still plenty of areas that we will be able to get work done in that are good and dry. We will still be meeting in the Parking area just northwest of the intersection of M115 and Lake Station Ave. We do have at least a couple people that will be staying at the Mud Lake State Forest Campground and also some staying overnight in Evart. I’ll give these words of advice to everyone. Please don’t cut across country from the Evart area on any of the back roads to the parking area on M115. Use US 10 to Lake Station Ave., then North to M115. Turn left on M115 and the parking area will be just a few hundred feet on the South side of the road. The back roads are in very bad condition right now and it is very slow going on the dirt roads so try to stick to the paved roads. The dirt road into Mud Lake has plenty of pot holes but we got in just fine. Remember a good set of gloves and pruning shears if you have a set. Bring plenty of water and a lunch for on the trail. Many people know of the infamous Scout Camp at Lost Lake, in Clare county. 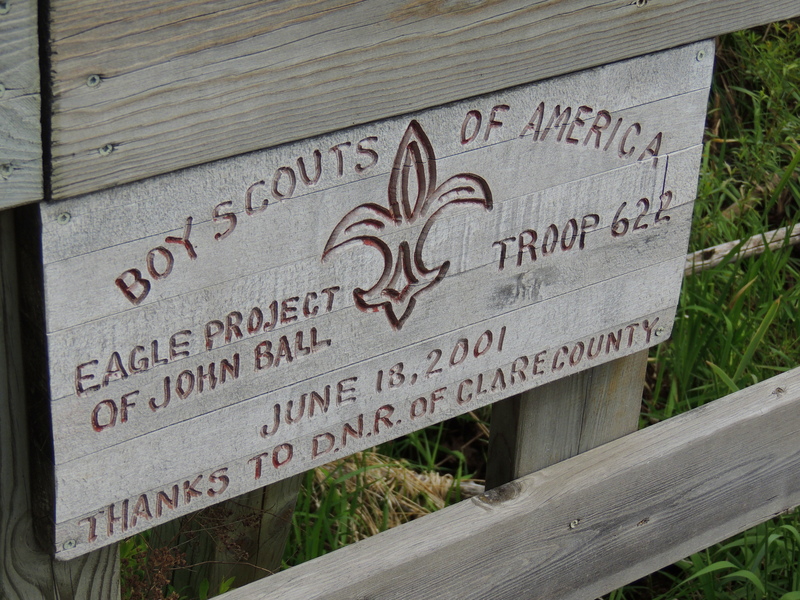 But adjoining this Camp is a State Forest area, where Eagle Scouts had built an extensive set of Trails, Bridges and Boardwalks through many different ecosystems. Without proper funds, these Trails have fallen into disrepair. Well…..Hiking North/Central Michigan, Clare County and our DNR have joined forces to restore these wonderful Trails at Green Pine Lake. We are starting this project with some simple clearing of overhanging branches and foliage. While we are doing this first Phase in restoration, we will also be noting details for future work on the bridges and Boardwalks and also updating a detailed Map we have started of the area. This project will take a number of gatherings to finish, but the end results will be a restored Trails system that will serve many people visiting the area. 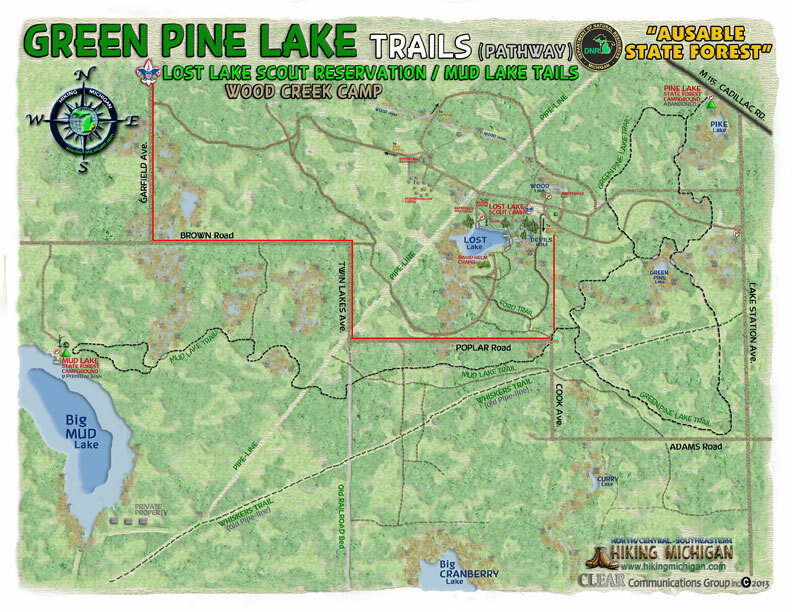 Everyone attending the Trails Restoration Project will receive a detailed colored Map of the Green Pine Lake area and Trails. Water will also be available for everyone, along with some snacks. Participants should bring some good boots, Work Gloves and their favorite hand Clippers. 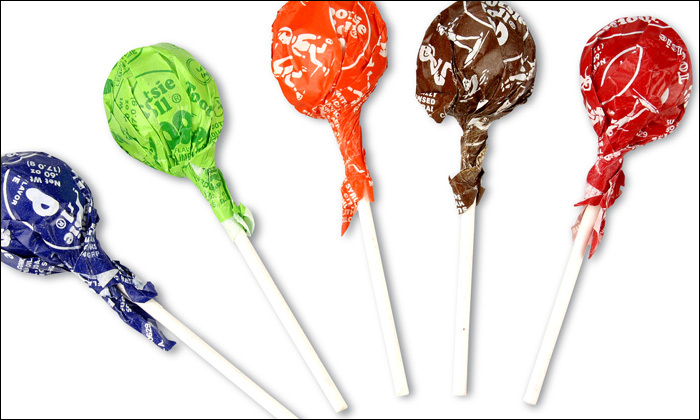 Additional snacks for out on the Trails is also recommended. After the days Work, those interested are invited over to Mud Lake Campground, where a nice Campfire will be waiting, along with some Hot Dogs and other Campfire treats. There is a group of Hikers coming up from the S.E.MI. 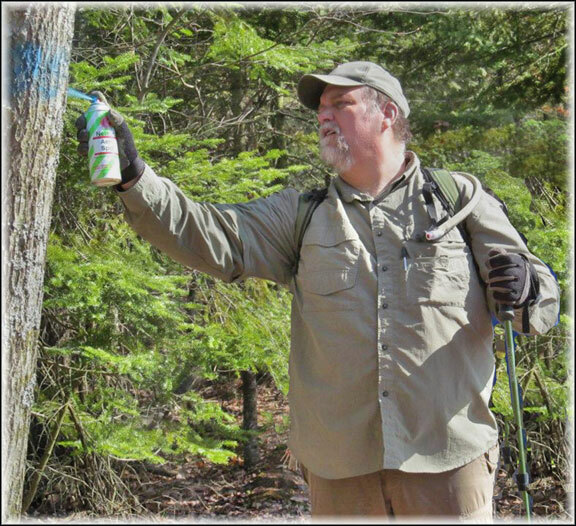 Hiking Michigan group, to join in with the Trails restorations. Some of us are staying at the local Hotels in the area. 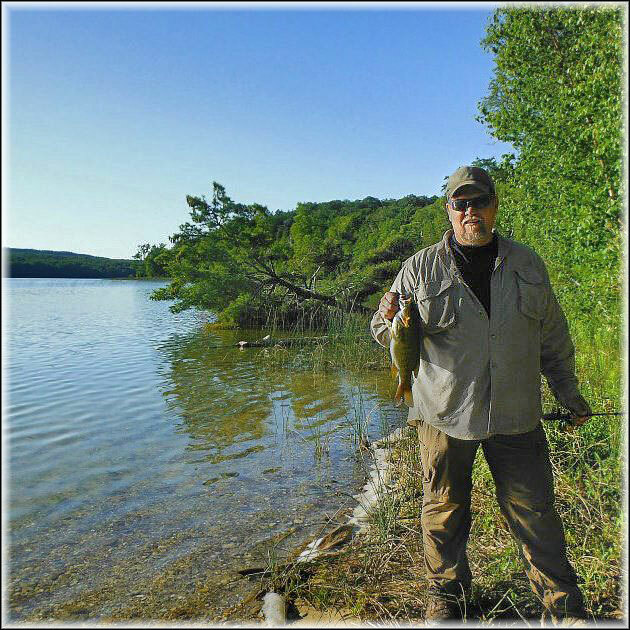 Mark Wilson has recommended the Grand Hotel in downtown Evart, MI. Evart is only a short distance from the Green Pine Lake Forest area, and in-between there and the Campfire at Big Mud Lake Campgrounds. A good central location to stay the weekend. There are also other facilities in Big Rapids and Clare nearby. 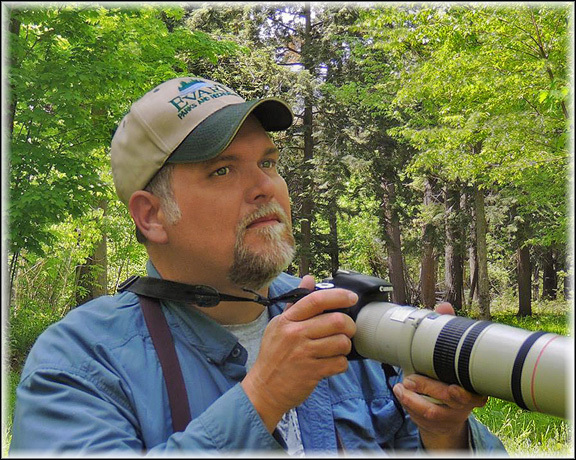 You can contact Mark Wilson at the Evart Parks & Recreation at: 231-250-2071, or by email at: Mark@hikingmichigan.com.